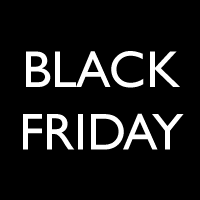 Avoid the crowds and SAVE at Lochte Feed on Black Friday, November 23rd and Small Business Saturday, November 24th! We will be open normal hours with big savings and small lines. Save on toys, Wrangler clothing, gifts and more! Happy Shopping! What is Small Business Saturday? It’s a day dedicated to supporting small businesses nationwide. The concept was created and trademarked by American Express and is held on the Saturday after Thanksgiving. Last year, more than one hundred million people chose to shop at a locally owned business in their communities on Small Business Saturday®. Keep your dollars local and support your small town business Saturday, November 24th! This entry was posted on Friday, November 2nd, 2012 at 8:48 pm	and is filed under Events, News & Updates. You can follow any responses to this entry through the RSS 2.0 feed. Both comments and pings are currently closed.